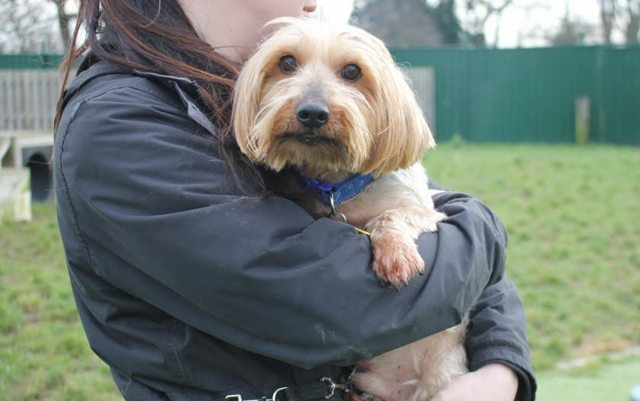 Hamish is a 10 year old male Yorkshire Terrier. Lovely little Hamish was rehomed from us in 2013 but has sadly found himself back here due to the ill health of his owner. He was briefly cared for by relatives before coming to us. During the short time he spent there Hamish was well behaved but did have a couple of accidents initially, however this was due to him being unsettled. He was house trained in his previous home. Do not be fooled by his age as Hamish is a little live wire who looks and acts much younger! 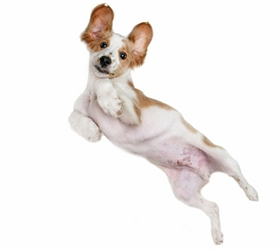 He is full of fun and loves attention and walks. He is just adorable and even smiles at you. He likes to play with toys and is happy to curl up next to you on the sofa. He is used to being groomed, and although he is okay to be picked up he can panic and prefers to have all four paws on the ground. Hamish is a friendly boy but can be a little be timid to begin with. He has never been around young children and therefore we are looking for an adult only home for him, without any children planned for the future. Unfortunately he does not get along with other dogs or cats and will need a pet free home. 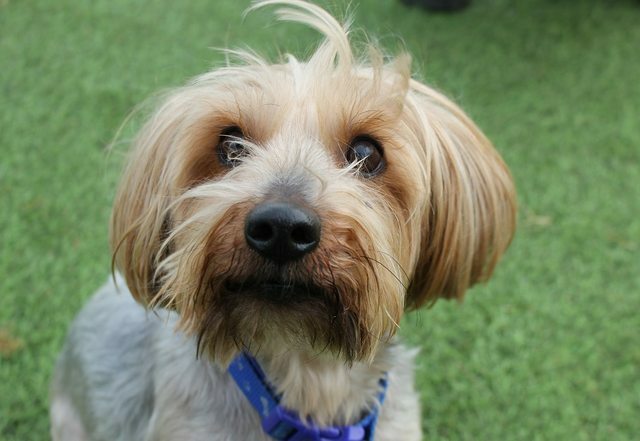 Hamish will make a fantastic companion and we are very sad to see him back in kennels. We hope he does not have to wait long to find his new home.